Easily build your own custom marketing reports. 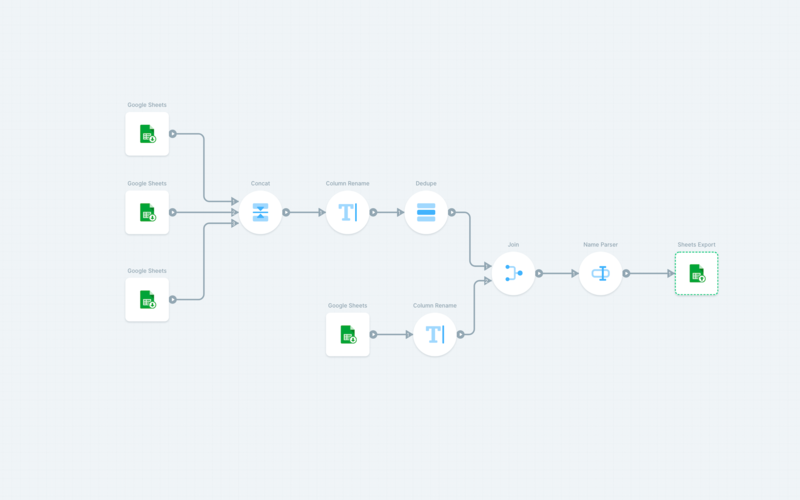 Pull in your marketing data directly from any source, then transform and manipulate it to build the exact reports you need, all using Parabola's visual drag and drop tool. Accurate and effective marketing reports take into account data and actions from multiple data sources. Don't limit yourself by seeing only part of the picture. Combine, clean, and enrich data from multiple sources to create deeper and more meaningful reports. Spend more time being productive by automating your reporting. 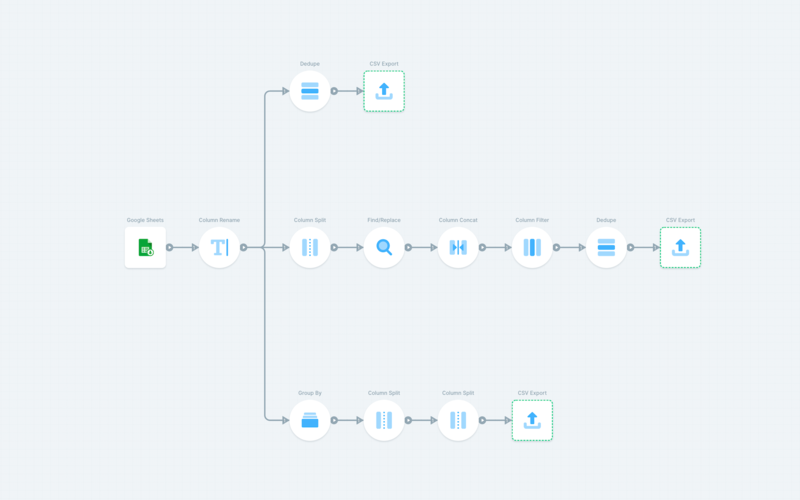 Send attribution data to your dashboarding tool every hour, so you always have an up-to-date view of how your campaigns are doing. Stop wasting hours doing tedious work building the same reports over and over again in a spreadsheet. Parabola's drag and drop tool makes it easy to manipulate and transform marketing data than any spreadsheet. 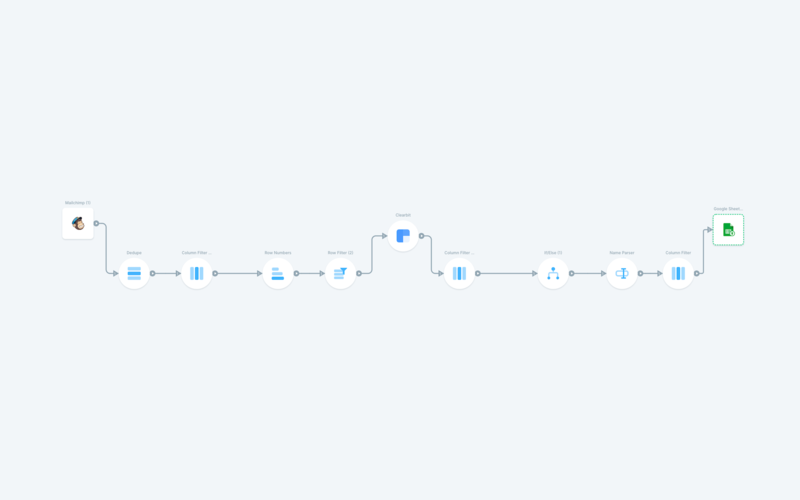 Build it once and have it run the same set of tasks over and over again; always with the latest data pulled directly from your marketing sources.